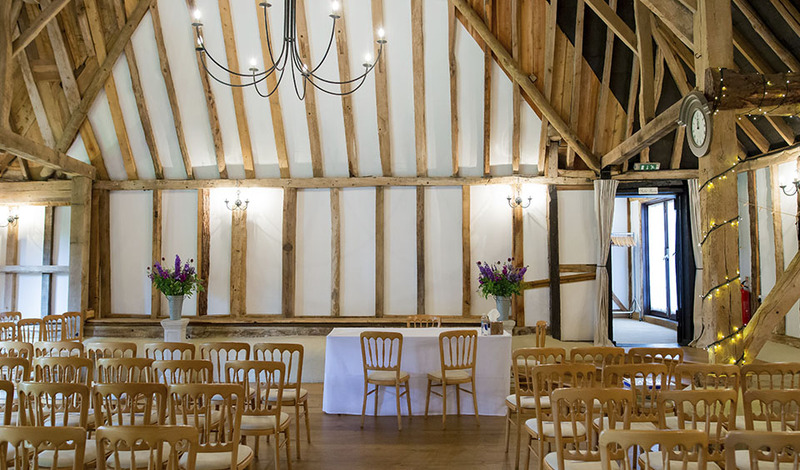 When Abi and Chris started planning their wedding, they knew they wanted a beautiful venue where they would feel relaxed. 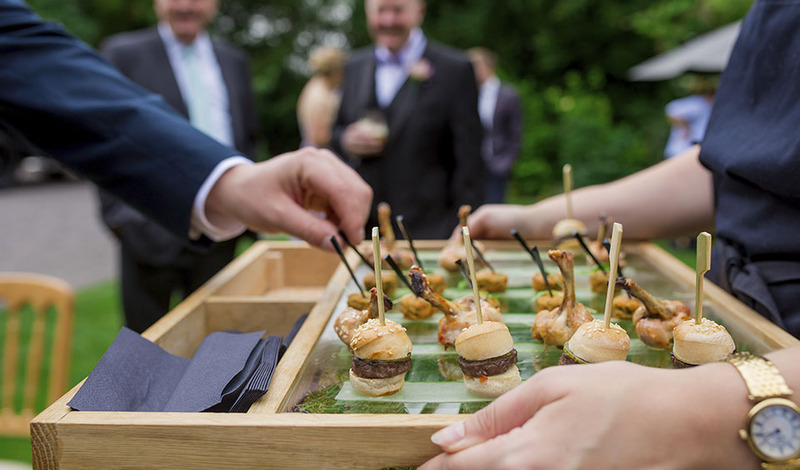 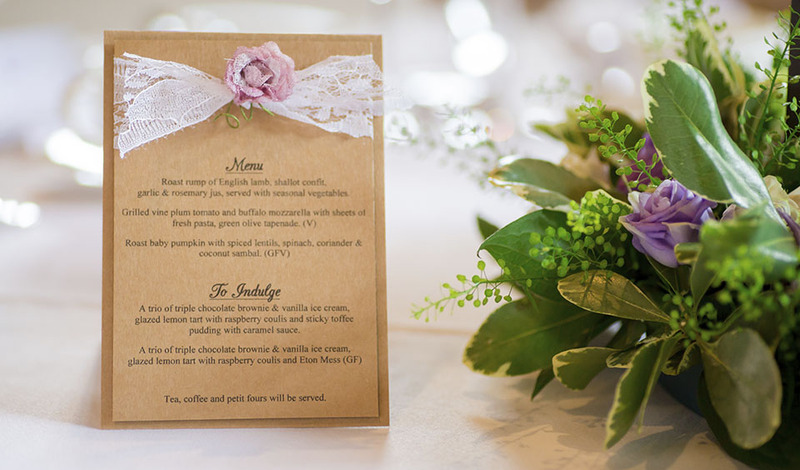 Amazing food was also high on their list of must-haves and so Clock Barn was perfect for this pretty summer celebration. 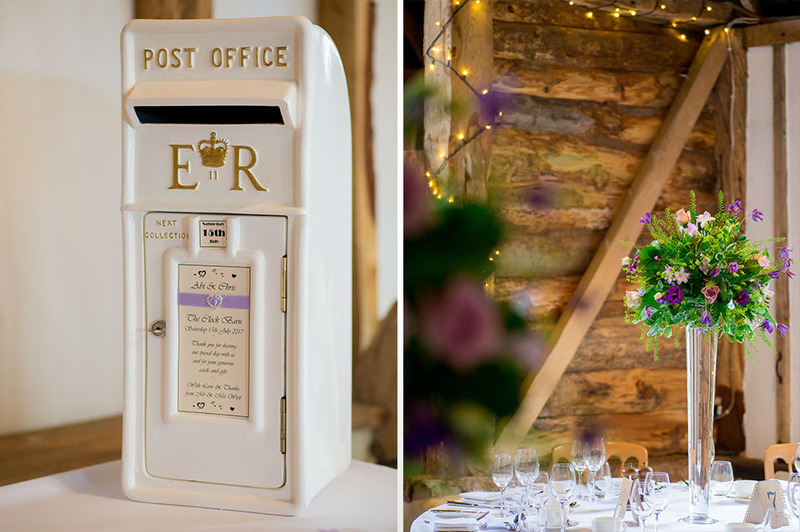 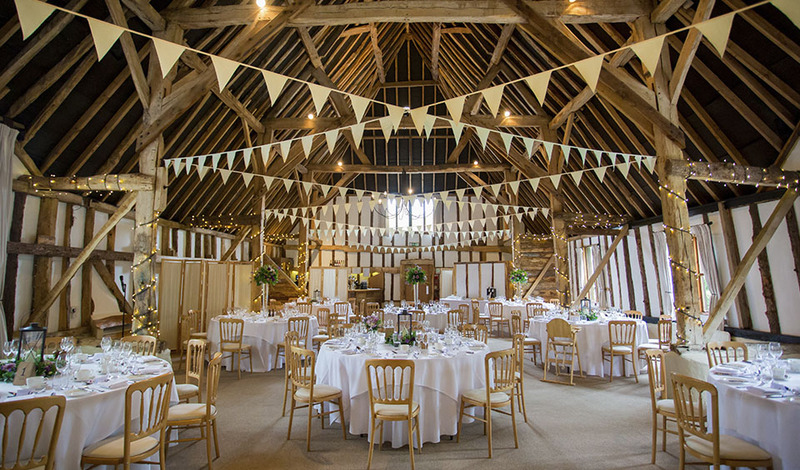 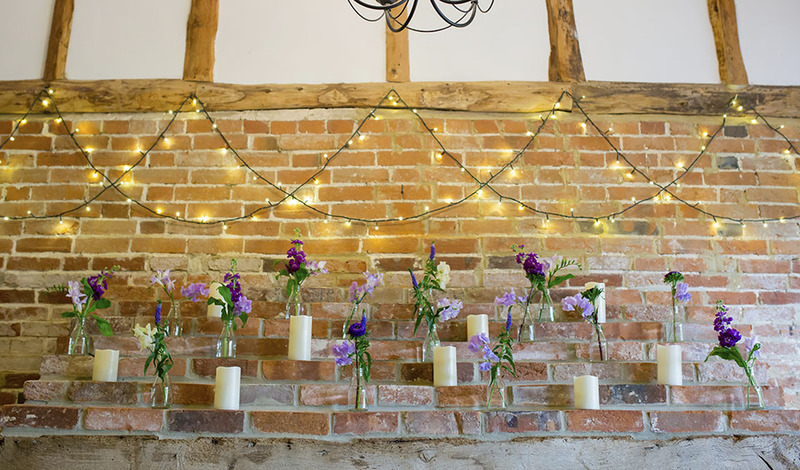 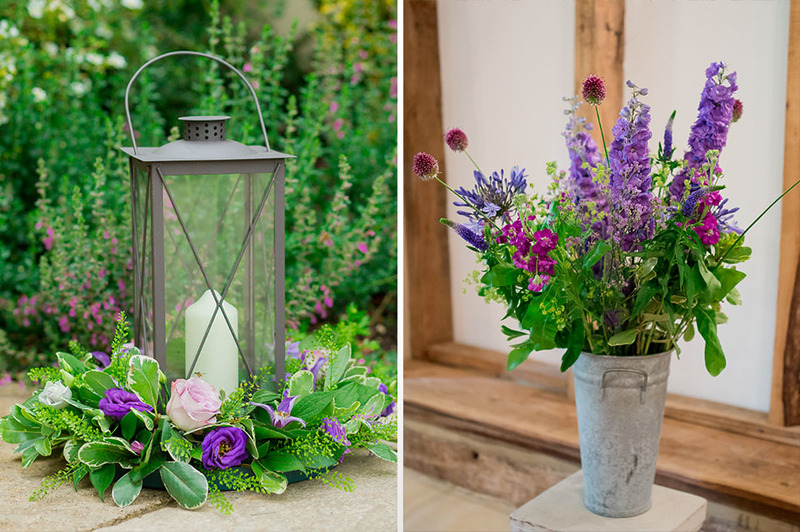 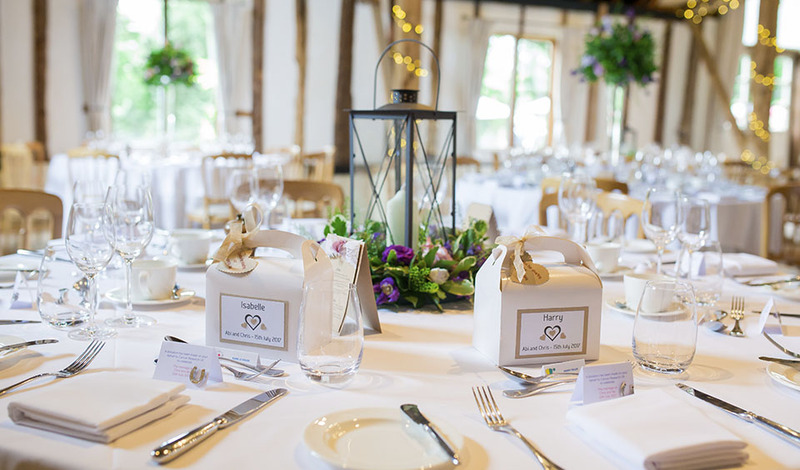 The rustic feel of Clock Barn instantly appealed to Abi and Chris and as soon as they visited, they could imagine themselves spending their wedding day in this wonderful setting. 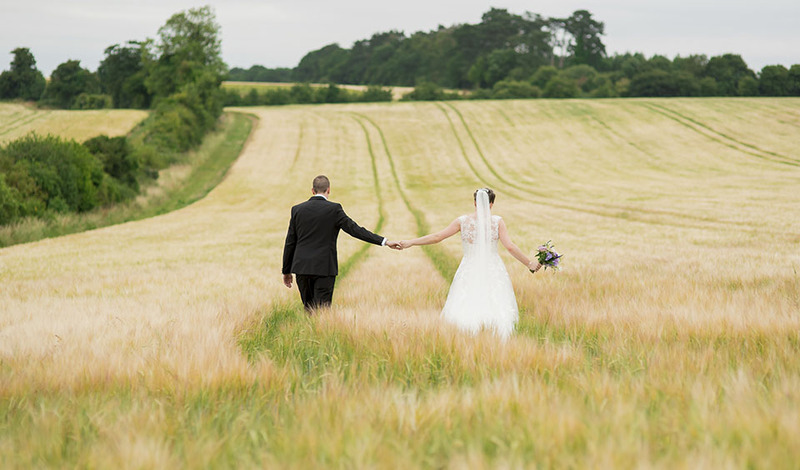 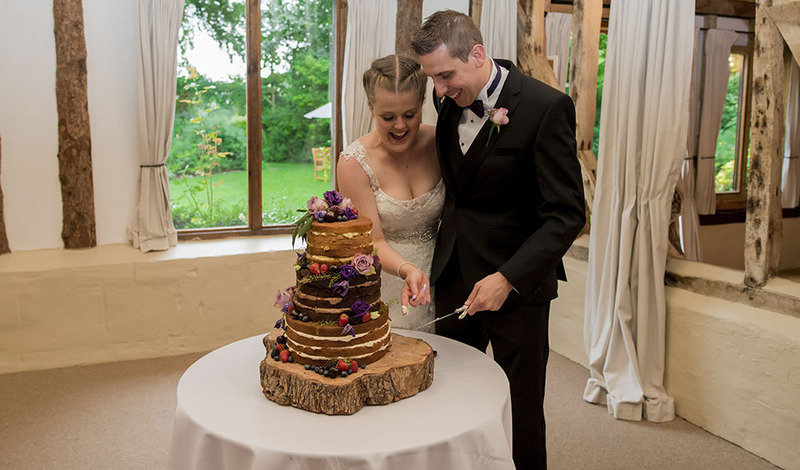 As the couple also wanted a civil wedding ceremony, Abi and Chris loved the fact that they could hold their whole day at Clock Barn, giving everyone plenty of time to relax and enjoy themselves. 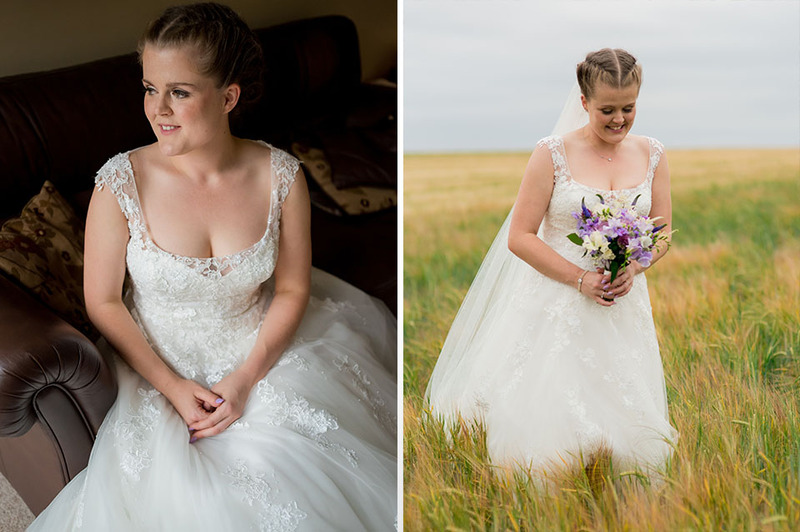 Abi wore a gorgeous Pronovias gown that made her feel like a princess and she knew it was ‘the one’ as soon as she first tried it on at Miss… Bridal Gowns of Hungerford. 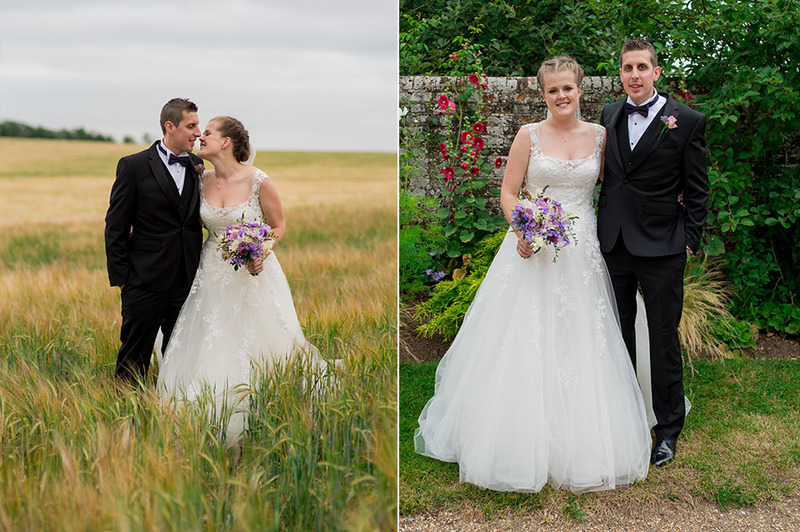 She accessorised her dress with a vintage pearl bracelet that was her great-great-grandmother’s necklace. 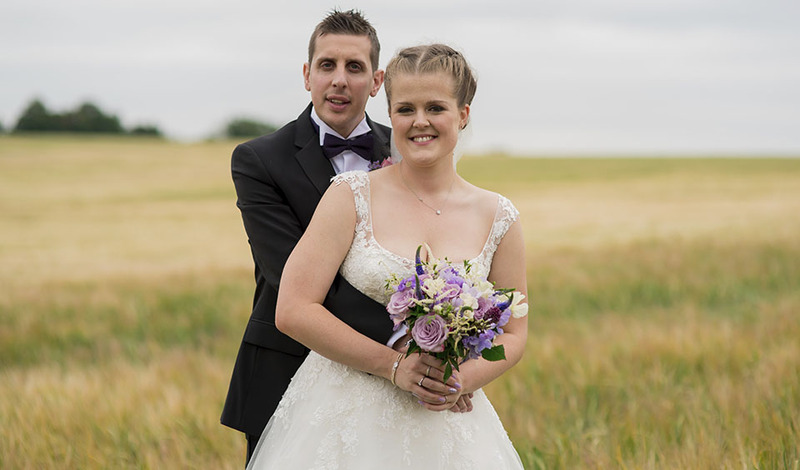 Abi also wore Rainbow Club shoes, diamond studs borrowed from her mum and a stunning necklace that Chris gifted her on the morning of her wedding. 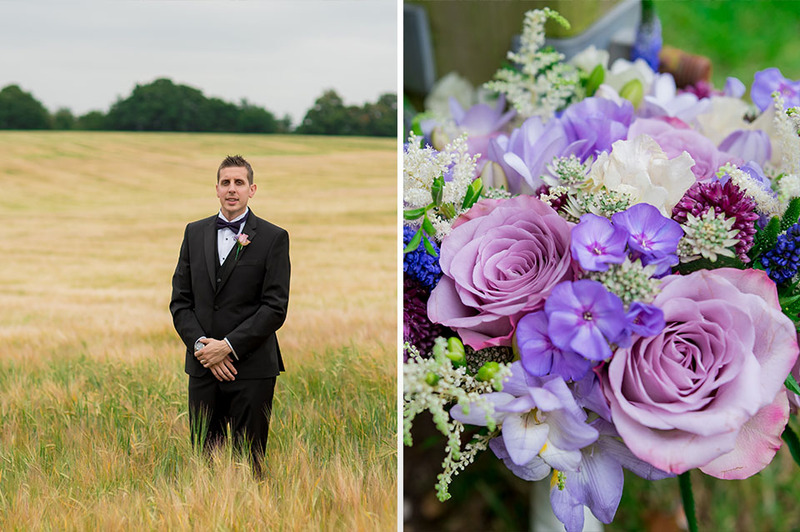 The groom and groomsman wore sharp suits from Autograph at Marks & Spencer while the bridesmaids looked their best in dresses from ASOS and sandals from Accessorize. 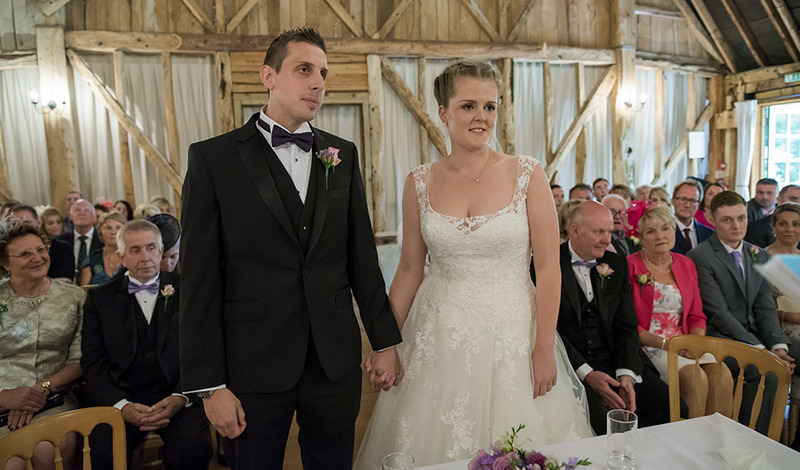 The evening reception began to the tune of ‘A Million Love Songs’ and Abi and Chris took to the dancefloor for their first dance. 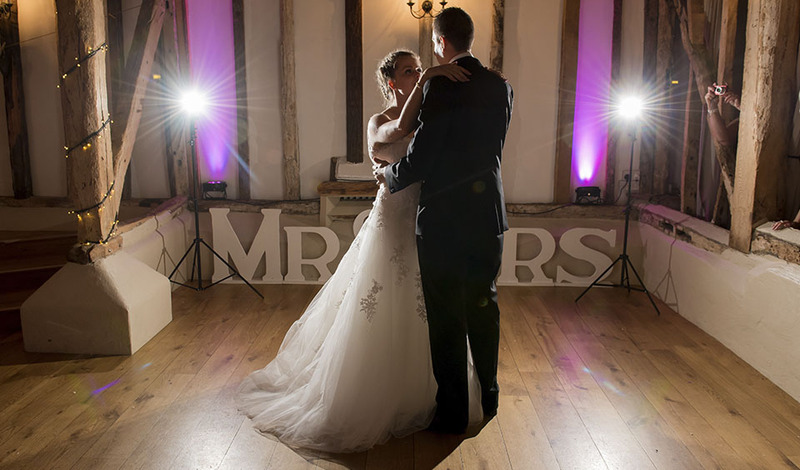 After this, the party started in earnest and the dancefloor was packed all evening thanks to Storm Disco. 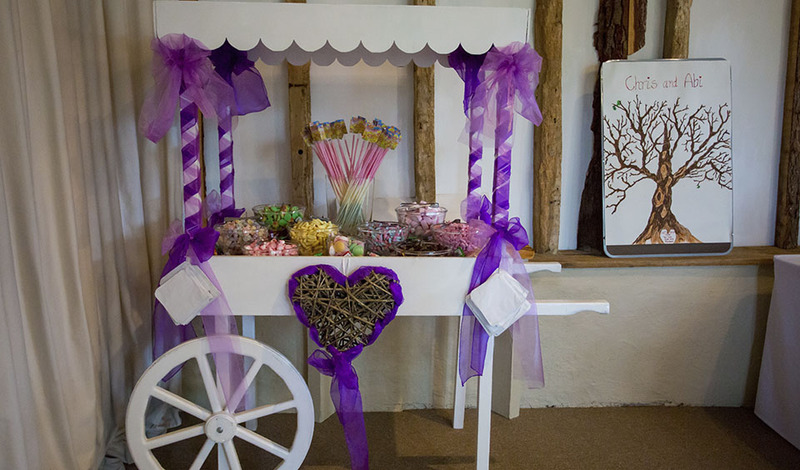 Guests refuelled with freshly made pizza and garlic bread from the pizza oven, treats from a sweetie cart by Bonappa Sweet and the most delectable cake made by Meadow Cottage Bakery. 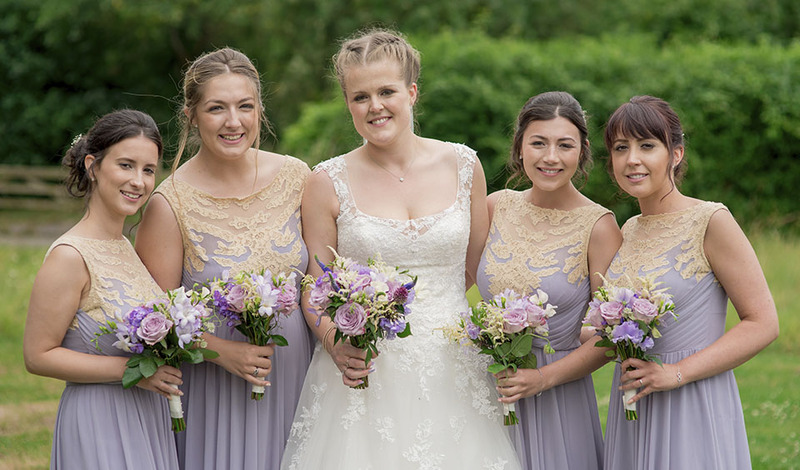 Abi, Chris and all their friends and family really loved every moment of this special day. 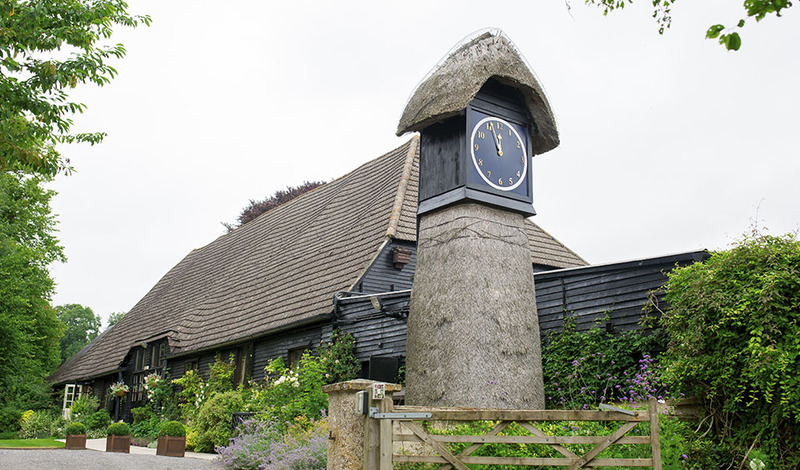 If you’d like to find out more about Clock Barn, why not book your own personal wedding show round? 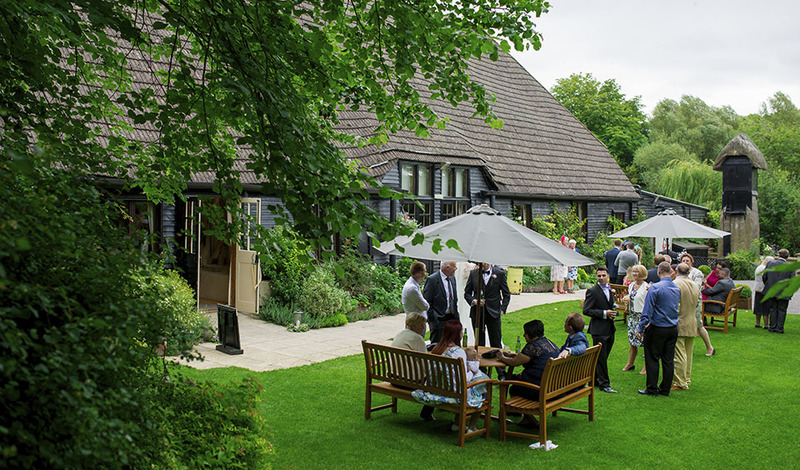 We can’t wait to welcome you!